We are able to order this art box for you. Our shipments usually arrive on Tuesdays and Thursdays around 11:00 if it is in stock with our supplier. The Sienna Pochade Box is available in two sizes. 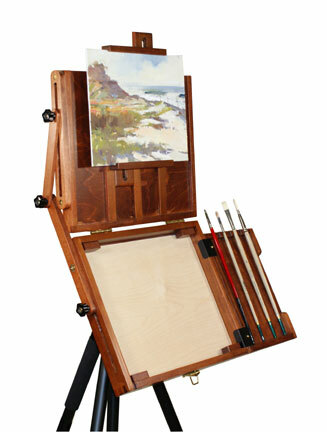 The L box palette area is 10" x 12". They can be opened completely flat for watercolor painting. They are designed with ease of use, durability, and versatility in mind. They are beautiful to look at and convenient to use. 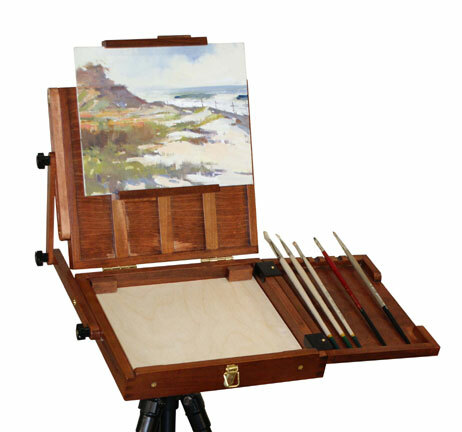 It includes a removable clear birch palette ideal for oils and acrylics. The Pochade Box also includes a handy brush tray that stores on the back of the lid with magnets. The tray is ideal for holding wet brushes, palette knives and palette cups. 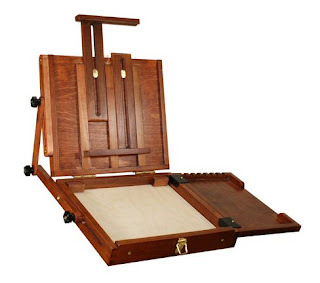 It attaches on the right side of the box and is held in place with magnets during use.